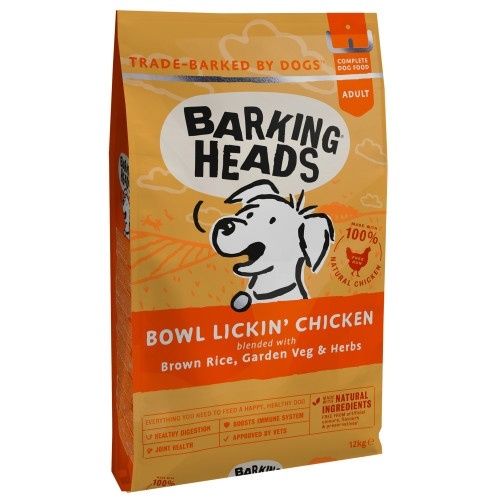 Whether your best friend enjoys a chicken and rice dinner or has a sensitive tummy, Barking Heads Bowl Lickin Chicken with its hypoallergenic ingredients, optimal level of rice and oats and selective oils for skin and coat conditioning is sure to give your best friend a little bit of TLC. Specially formulated for dogs with sensitive digestive systems, flatulence or loose stools. Containing 50% chicken and the natural seaweed which helps to aid digestion and make delicate tummies happier.